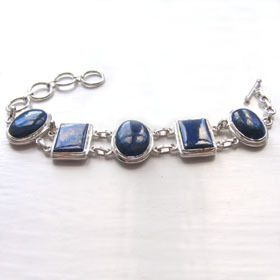 Lapis lazuli has been worn as jewellery since the ancient Egyptians discovered just how beautiful it is. 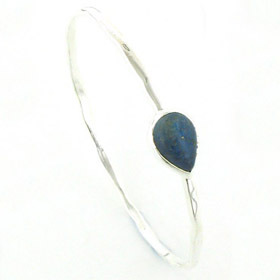 Our lapis lazuli bangles use only natural lapis lazuli. 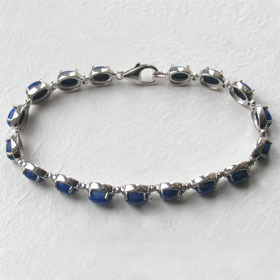 Characteristically lapis lazuli is sprinkled through with gold pyrite and has white calcite deposits. 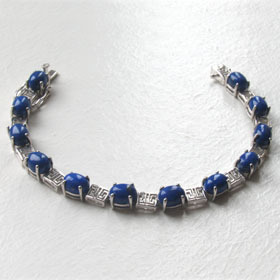 See also our lapis lazuli earrings, lapis lazuli pendants, lapis lazuli necklaces and lapis lazuli rings for a great choice.